No explanation of how ball lightning occurs has been universally accepted by science, but an Australian researcher thinks eye-witness accounts from airline pilots may offer an important clue. Previous theories have cited microwave radiation from thunderclouds, oxidising aerosols, nuclear energy, dark matter, antimatter, and even black holes as possible causes, but scientist John Lowke dismisses these. 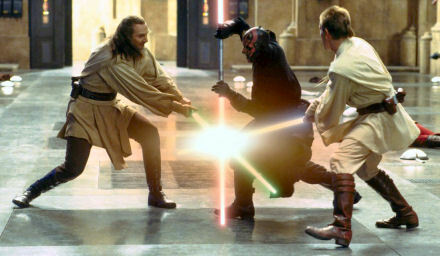 Lowke, working at the CSIRO in Australia, has been studying ball lightning since the 1960s. 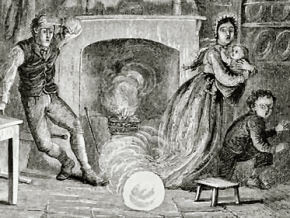 While he admits he’s never seen it himself, he says that eye witness accounts of ball lightning formation and its predilection for glass surfaces – and how it can pass through glass – lend support to his new theory. To back up his work, Lowke cites eyewitness accounts by airline crew members that describe how they watched as ball lightning formed on their cockpit window and passed through it. 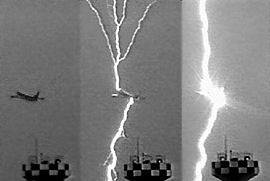 Radiation exposure from “dark lightning” quantified Satellite catches thunderstorm producing antimatter bursts Single-use computer memories may emerge as gold standard for secure transactions Photonic molecules behave like light saber, say scientists Antimatter bottled-up for 16 minutes Jellyfish Quickest On The Draw?